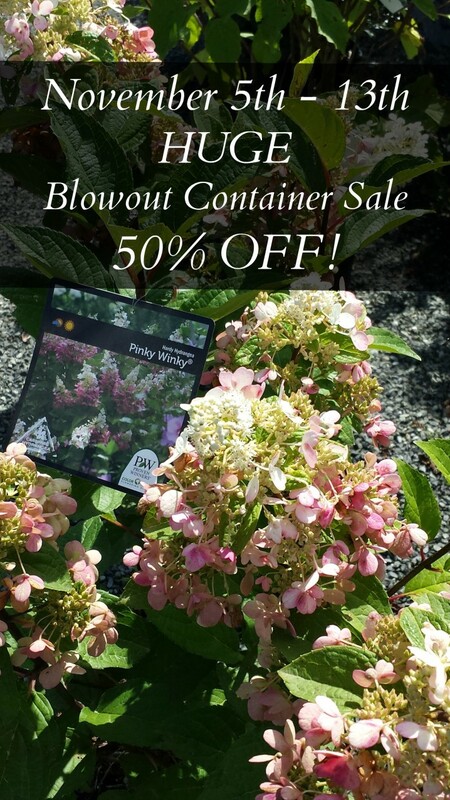 Final Year End Sale on Shrubs! You are here: Home / Blog/News / Blog / Sales / Final Year End Sale on Shrubs! Final year end clearance in our container area full of shrubs such as Crape Myrtle, Hydrangea, Pieris, Butterfly Bushes and much much more! Make sure to get here early to get the best selection. There’s still plenty of mild weather ahead for planting! Last days for shrubs before Christmas trees arrive!